Born Eunice Kathleen Waymon, Nina Simone was a singer songwriter from North Carolina, USA who became famous not only for her music but also for her involvement in the American civil rights movement. She grew up as one of eight children, with a preacher for a father. Simone developed her intuitive, virtuoso piano style through experienced gained playing the piano at her father’s church from the young age of 6. She did undertake formal classical music studies, but ‘fell into’ her pop music career while working gigs in a local bar to earn a living while studying at the notorious Juilliard School of Music in New York City. Her music would continue to include aspects of classical influences, especially her piano work. From a young age, Simone showed all the signs of a promising classical musical career, and as a result members of her community, including her mother’s employer, pitched in to help support her music lessons. It was with this scholarship that she was able to attend high school and eventually study to audition for the very prestigious Curtis Institute of Music in Philadelphia. The audition proved unsuccessful despite an extremely positive performance. Simone always maintained that she was denied entry into the school due to her skin colour. Ironically, Simone was awarded an honorary degree by that same institute, posthumously. Throughout her lengthy and successful career, Simone recorded more than 40 albums – both studio and live. She is perhaps most famous internationally for her 1958 recording of ‘My Baby Just Cares for Me’, a song that would go on to feature on a Chanel No.5 commercial in 1987. In fact her music has been featured in many big name films, television shows. 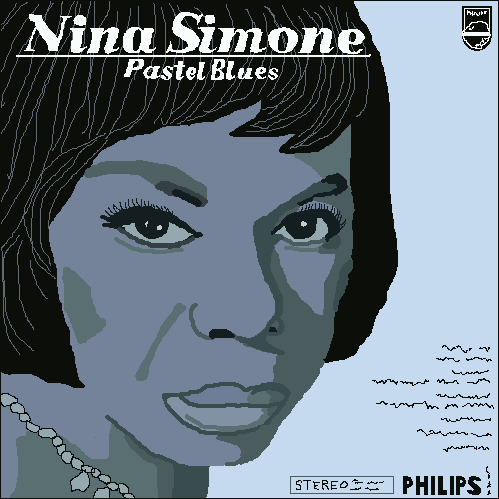 “Pastel Blues” was Simone’s 8th studio album and was released in 1965. The album kicks off with ‘Be My Husband’. Written by Simone’s then husband and manager Andrew Stroud, the song is performed pretty much a capella except for the accompaniment of the kick drum and hi hat, and later is peppered with hand claps and grunts. I’m actually familiar with, and a fan of this song, as it was covered by the late great Jeff Buckley and aptly re-named ‘Be your husband’, on his “Live at Sin-e” recordings. It bears a resemblance to a traditional American folk song and makes a brilliant feature of Simone’s contralto voice. Contralto is actually the deepest pitched female voice. In fact her voice is so deep on this track – and others on the album – that anyone unfamiliar with Simone’s style would be forgiven for mistaking her as a male singer. I especially loved track 3, ‘End of the Line’, it’s a romantic, tender and sweet ballad, featuring a long introduction with swoony piano flourishes that have a classical edge, reminiscent of the romantic piano style of Chopin. Even after the song finishes, it seems to linger in the air. Similarly, her take on Billie Holiday’s ‘Strange Fruit’, a haunting and lamentful song that tells the story of the lynching of black men in the southern US states, and also really stayed with me. The song exudes emotion and you can feel Simone’s own experiences and opinions are embedded in the performance. Track 4, ‘Trouble in Mind’ is a boogie woogie-ish jazzy number based around the 8-bar blues, which was somewhat of a blues standard at the time. 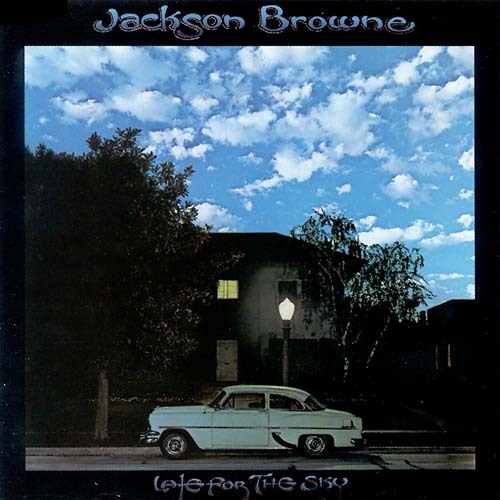 It’s a really catchy little song that just drips with joy and sunshine, and I really liked its simplicity and cute, optimistic lyrics “Trouble in mind, I’m blue, But I won’t be blue always, ‘Cause I know the sun’s gonna shine in my back door someday”. “Pastel Blues” was a slow grower for me. At first it was more like background music but there came a point where I really started honing in on the emotions and key themes of the album. I found it really nice to listen to late at night and in the afternoons as it has a retrospective and emotive feel to it and doesn’t really work well in the morning. I’d actually like to try to learn some of the songs off the album on piano (such as ‘Trouble in Mind’ and ‘End of the Line’). Highly recommended. I’ve loved Nina Simone’s rendition of ‘My Baby Just Cares For Me’ for years. I only learnt that she was a pianist as well when I caught one of her live performances on TV one day. I didn’t find anything on this album to be as catchy and memorable as that song, but that’s not to say that it’s bad. The opening track, ‘Be My Husband’ (written by her then husband and manager Andy Stroud) is a catchy tune that features only Simone’s voice, hand-claps and a drum hi-hat. It sounds great for the first minute or two, but you’re left waiting for the band to kick in and they never do. 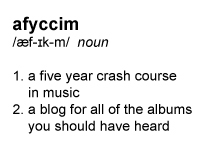 The song does serve as a nice introduction to the album though, and showcases that fab voice for hers. The production is excellent for its time, and the musicians do a fine job of backing her, never forgetting that Simone is the star. Even when one of the guitarists solos on the wonderfully breezy track ‘Chilly Winds Don’t Blow’ it’s quite low and unobtrusive. She does a fabulous version of ‘Nobody Knows You When You’re Down And Out’ and the haunting ‘Strange Fruit’ is filled with anger and sadness. Written by a schoolteacher, the latter vividly describes the lynchings of African American men in the deep south. It was made famous by Billie Holiday, but Simone’s world-weary tone makes this my favourite track here. The album closes with ‘Sinnerman’, one of her most famous songs. Starting with a piano riff that’s guaranteed to get your foot tapping, it gets a bit tedious by the six minute mark. This may seem hypocritical from a guy who happily listens to ten or twelve minute Neil Young songs, but hey, you like what you like. This isn’t really my thing, but it’s easy to listen to. Nina Simone is a musician’s musician. Her music is loved and adored by many successful and influential artists. She was known as the “High Priestess of Soul” for a good reason. There is something about Nina Simone’s voice that just transcends to a whole other level. There is a certain conviction to her vocals that is very relatable. You don’t just listen, you feel it. There are a few tracks on “Pastel Blues” that are a bit, well, average. But the opening track and last two tracks up makes up for any sub par songs. ‘Be My Husband’ is a great opener, and quite different for its time. If I could sing a song that powerful with just hand claps and a hi-hat for accompaniment I’d be a happy woman. The version ‘Strange Fruit’ here with its lilting piano and that voice gets me every time. Sorry Bill Holiday, this is the best version I’ve ever heard of this song. I’ll admit it, there may have been a tear or two. ‘Sinnerman’ actually reminded me a lot of Nick Cave and the Bad Seeds, especially their live shows, with the whole call and response thing. Until I had listened to this album I had no idea that Nina Simone was a big influence for Nick Cave, but it was very evident in the sound. And who doesn’t love a good hand clap solo? I ended up listening to this album around seven or eight times and I’m glad I had those extra listens because it gave me a little bit more time to appreciate the genius that is Nina Simone. I remember when she passed away in 2003 and how it seemed to be a bit of a big deal. Now I understand why. The first thing I noticed about Nina Simone is her voice. Err… Obviously. I’m probably going to get in trouble for this, but I’m not a fan of it. I’ve spent the week trying to figure out what it is I don’t like about her voice, but I couldn’t. I realise I’ll probably get in trouble for not justifying such an unpopular opinion, but her voice just grates against me. I can’t explain it. Sorry. The thing about “Pastel Blues” that stands out to me is the excellent musical arrangements. I didn’t know that Nina was the pianist for this album, and as far as I’m concerned, she’s a much better pianist than singer! The jazzy chops she lays down during ‘Nobody Knows When You’re Down And Out’ are exceptional. I don’t know what they’re called on piano, but where I come from they’re fills, and the piano fills through ‘End Of The Line’ are excellent. I’ve always had a lot of respect for people who can play like that and sing at the same time. As much as I don’t enjoy her voice, I absolutely loved ‘Be My Husband’. To me it was reminiscent of some African American slave work songs. They would sing songs like Jumpin’ just and Old Alabama while working in the fields, a capella, with the sound of their axes and tools keeping the beat, in the same manner as the hi hat in this recording. ‘Sinnerman’ is probably Nina Simone’s most famous song. And rightly so. Her frantic pianoing combined with splashy cymbals and high tempo hi hats add a sense of urgency, which this song was all about. Safe to say I wasn’t the hugest fan of this album. It had its good points, but not enough to make me listen again. Sorry.